The World Health Organization (WHO), the Pan American Health Organization, and Ecuador’s Ministry of Health recently recognized the Andean Health Institute (AHI), led by Dr. David Gaus, as having one of the best primary health care initiatives in Ecuador. 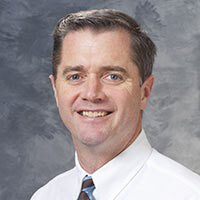 Dr. Gaus is an honorary associate/fellow in the University of Wisconsin Department of Family Medicine and Community Health (DFMCH). The three institutions recognized AHI itself, as well as its innovative medical manual in Spanish. The latest version of this manual combines contextualized diagnosis with management of many health issues seen in rural Ecuador, and also includes a social sciences section that explores cultural aspects of diseases in more depth. The recognition of AHI’s work has also raised awareness about the need for more research coming out of Ecuador, specifically in primary health care topics. AHI hopes to influence national guidelines through an antibiotic resistance project conducted in partnership with Notre Dame’s Eck Institute. It has also been invited to share its work with a consortium of public health schools in Ecuador. It also produces Salud Rural, an online, Spanish-language medical journal—one of the few in the country—which later this year will be indexed in PubMed.